Previously on Adam Riff: "The band Miike Snow named itself after Japanese film director Takashi Miike." EP Cover Idea: Vectorize the protagonist of The Host? Kang-ho Song  The Weird in The Good, the Bad, the Weird, the vampire in Thirst, Mr. Vengeance in Sympathy for Mr. Vengeance, and now…the cover of a British "Post punk / New Wave" release. 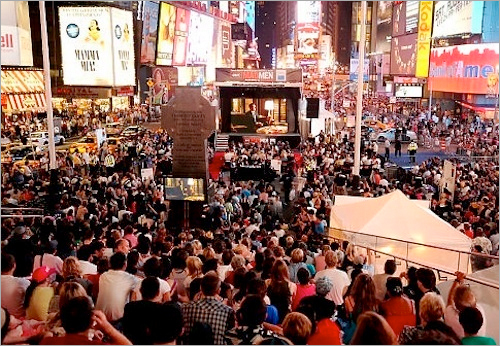 Evidently, AMC screened the season premiere of Mad Men in Times Square. How was this possibly enjoyable? I wonder how the prostitute scene played. • The guys at Dinohoodies build custom dinosaur hoodies to your specifications.